Lovely Autumn is well and truly here so I've packed away (for the time being) the floaty Liberty floral fabrics I've adored using over the summer months to make way for the thicker and sturdier denim. Denim is much more suited to accompany woolly scarves and wellies don't you think? 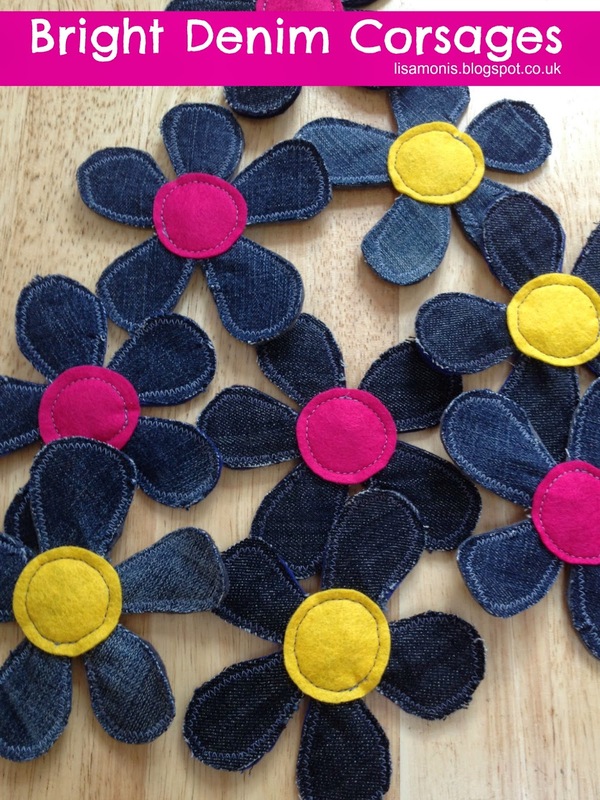 What's even better is that I've made these out of recycled denim! 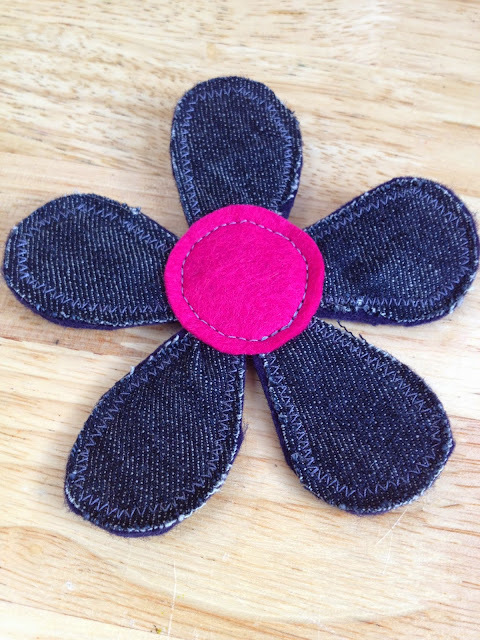 I have been badgering friends for their denim cast offs so I can turn them into these gorgeous corsage brooches. Each flower is unique due to the different shades of blue in the denims and how much wear and tear the denim has had in its jeans life. I so love all those worn and faded bits. As I cut the denim out by hand from my hand drawn templates I've created the corsages have a lovely homespun quirky feel. Are you a fuchsia pink or sunshine yellow fan? 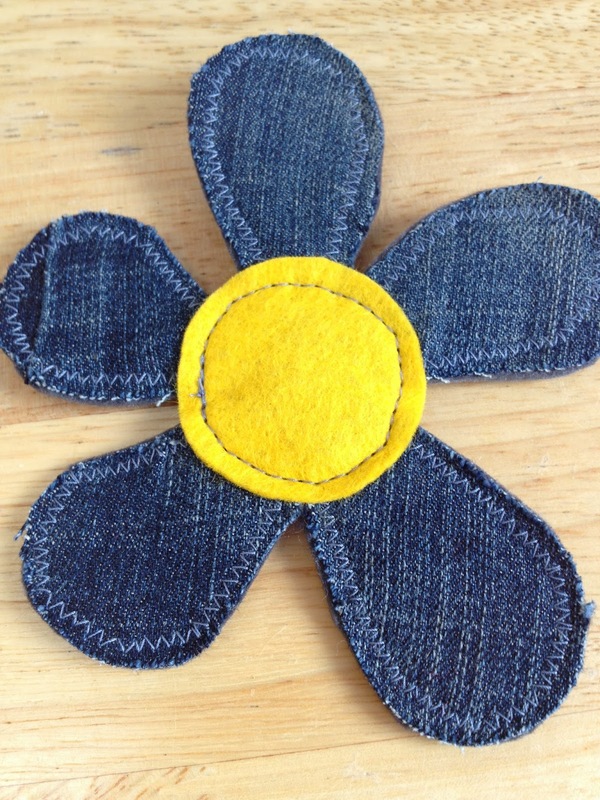 I sew the denim flower onto a felt backing to give it some strength so that it won't lose its shape when you wear it. 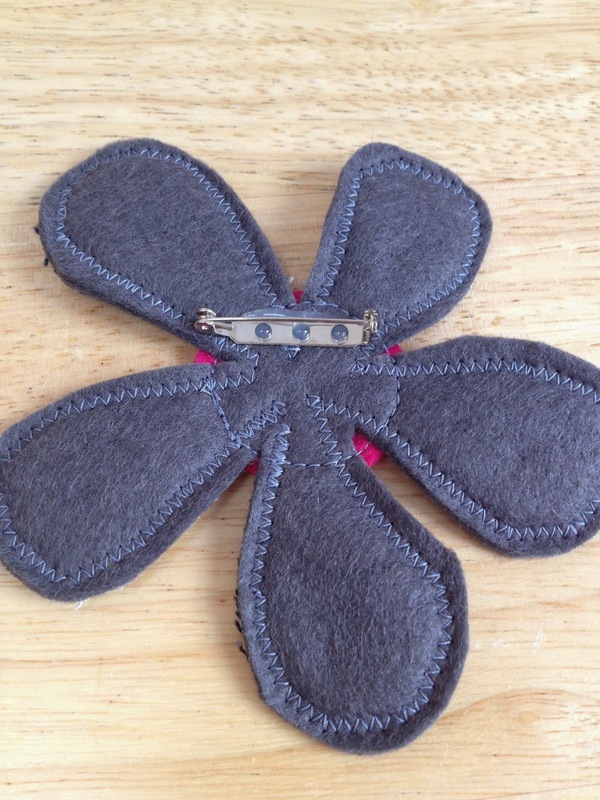 A Cup of Tea coaster for your cup of tea!